Tom wrote: Color me impractical and maybe even quixotic but for such a personal endeavor shouldn't conveying the excitement and urgency of the original vision take precedence over a slick sales pitch? If that "excitement" can be used to prop up the sales pitch then yes. But when you have a finished game, you have to sell a finished game. Not a vision. As indicated, the view I expressed was not borne of practicality. Then again neither is Limit Theory, itself. Mileage varies greatly regarding "the vision thing". If the aim is to optimize sales then a targeted marketing effort - presumably outsourced to an established entity - consisting of surveys, media outreach, etc... would be the sensible course. In the end, it is up to Josh how much effort he wishes to put into hawking the game (and how or whether to prioritize its promotion). I think it's in Josh's best interests to get the game out there as much as possible, honestly. He's still got his whole career ahead of him, and there's no time like the present to make as much of a name for himself as he can. Flatfingers wrote: I've had a bit of a think today, and to keep this conversation going I'd like to suggest one possibility for the primary Limit Theory trailer. This one would run for about one minute and thirty seconds. I assume that it would be accompanied by an appropriately space-like score with a five-second pause where indicated. Please bear in mind that this is just an idea meant to suggest one direction the trailer might go. I welcome constructive feedback, and I'd be very happy to see other suggestions that capture what's great about Limit Theory in other ways that would excite potential players. In the beginning, there was a theory believed by many game developers that people would only ever want to do one thing in a game. Many games based on this theory were very good, but then someone proposed a different theory. Numerous small-to-medium-sized NPC ships engaged in commerce swarm the planet and a nearby space station. What if this limit on what you could do, on who you could be, wasn't necessary? What would happen if you built a game based on a different theory, a theory of removing limits? You could explore the depths of space and the frontiers of knowledge. You could locate and gather riches from the remains of shattered planets. You could seek wealth from supplying the needs of many worlds. You could exploit the weak, taking what they have for your own. You could protect the weak, expertly defending the universe. You could command vast fleets, bringing far-flung worlds under your authority. A theory based on removing limits would let you do all of these things. Welcome to the game that's designed to let you be who you want to be. Welcome to the game based on the theory that you set your own limits. The cap ship engages its jump drive to showcase that graphic effect, leaving behind the planet floating in space. When the flash of the ship jumping appears, display the title "LIMIT THEORY" for five seconds. This to me would show the scale of the game along with gameplay features in a story that you could be part of or make your own story how you want. Flatfingers wrote: When you're done selecting all the options you want and you click the button to start a new game, you begin in the inky blackness of space. Slowly a glittering expanse of points of light fades into view [the node editor cycling from 100% to 0% transparency, and filtering on star systems at the multi-sector level]. Then, one by one, flashes of light as self-aware civilizations awaken on scattered worlds [system + political identity categories turned on]. As these civs discover starflight, they expand their political territories to other systems [time running at a higher-than-standard speed to animate this process of expansion], and some of the individual points of light in the galaxy begin to bloom into small patches of color. Where these colors meet, there are sprays of light where ships and their crews fire on each other and are destroyed, or slow mergences of color where diplomatic voices create peaceful unions. Time then slows to the standard speed of gameplay, and the node display is zoomed into the corner of the universe where your game begins. I still hope for something like that. What I'm not sure about is whether that works as a "here's what will persuade you to buy Limit Theory" trailer. I like it as a way to start LT, but in fairness it's pretty hands-off -- I suspect most gamers will expect to be shown what they can look forward to actually doing in the game. Finally, Tom and Gazz are both raising an important question: at whom should the LT video be targeted? I'm sort of in the "something for everyone" camp -- especially since I prefaced this thread by asking what one trailer to rule them all might look like. But maybe even that trailer needs more focus. If a choice has to be made, what feels more right for selling copies of Limit Theory: an emphasis on the vision of the dynamic world of LT as a sandbox? Or a tight focus on exciting gameplay mechanics? I also don't think it will spoil anything by having the galaxy view along with the gameplay aspects as part of the timeline like how you laid out above. So as you are viewing the galaxy (maybe from an angled view) and watching as the lights of life emerge and start spreading throughout the galaxy it occasionally pauses and zooms in to a scene of a craft mining, then goes back to the galaxy view then a bit later a craft hauling, then a screen showing the market/trading screen layout, then a ship getting pirated (this can be laid out with different aspects of gameplay in a sort of timeline of advancement). The last screen as the galaxy is filling up with factions ships etc would be the final zoom in of a nodal display and all the ships in your command ready to fight another amarda of ships. I think that having the galaxy view in the trailer and also a part of starting a game would actually tie in nicely from what you experienced in that epic trailer, for me it would give a buzz. As others have said i find it bad when you watch a trailer and the game is nothing like what you experienced in trailer and it's a massive let down. Sorry, Josh -- what would (and did) immediately grab my attention was the first 15 seconds of Development Update #14. I (somehow) hadn't come across LT until a few days ago, and I found Dev Update #14 before 15. Why was it perfect? The camera was static, but the image was not. What am I looking at? I hear a voice. A voice actor? He sounds good, but it's not Nolan North. Who is it? He draws attention to what I'm looking at—ice in space—and then the camera begins moving and the video is introduced. Somehow, that 15 seconds did more for me than any YouTube pre-skip ad time ever has. <shrug> I'unno. Do that. I guess I don't know BBCode. I'll test my URL tags down here. Last edited by Fourhundred57 on Wed Apr 30, 2014 6:35 pm, edited 2 times in total. You don't need the quotes around the URL. The main thing I would focus on in the trailer is how you are not some super hero. You are no different from the AI in the eyes of the other AI and you can rise and fail just like they can. Lena LeRay,,writer for indiegames.com, offers some opinions on what makes for a good game trailer video. It's been a while since we last talked about a LT trailer, and a Josh has shown off some new features since then. Any new thoughts on what a great short trailer showcasing Limit Theory might look like? Something I thought about was to take one big event, lets say a trade depot of fraction A being surprisingly attacked by a capital ship + fighters of fraction B and show this from all possible perspectives. Maybe at firts a little miner, a bit further away. The soothing humming of the mining beam, than a distant explosion and an orange glow in the distance. Zoom over to what is left of the station, the big ship releasing lasers in all directions and fighters and bombers fighting and bombing each other. The time reverses and the camera jumps into the hud of one of the traders, as he skips through different lists and graphs sells and buys stuff. Then a warning on the hud. He switches over to the map. You see all sorts of ships buzzing around, one big red ship and a red dot followed by a thin line moving towards the station. He closes the map and in the very next moment, you see the projectile hitting the station. Chaos breaks free, as you flee. Other ships fly towards the station in formation. Time reverses again. Now you are in the cockpit of a fighter. You follow the Order to move to what was the tradedepot. Some intense fighting stuff. You get to see the capital ship close up. Time reverses the last time. You ar the commander in the capital ship. In the background a completely different gorgeous nebula. The fleet gets prepared for the big jump. You precharge the main gun, enter the warphole and release hell. So... What constitutes a "solid enough trailer"? Also: Brilliant article, Flat. That was definitely worth the read. Well what sold me on this game was the way it is being developed, Josh has got the best design philosophy I have ever seen. Everything is in service to reinforcing the central ideas of Limit Theory. I would focus a trailer on the greatest strengths of the game: Exploration. Everything in the game seems designed to reinforce that fundamental. You have freedom to play how you desire and go where you desire. Infinite variety and endless opportunity. Secondly I would stress how easy this game will be modifiable. Strong modding communities have vastly increased the popularity and shelf-life of some of the best remembered games. And as with any good game: show don't tell. A trailer shouldn't tell you what you can do, it should show you some of the things that could be done. You don't have to show every detail of the game, just the key points that would draw your target audience in. Well It's been a while since we last discussed this, but perhaps now is a good time to revisit the subject. As much as I think the mechanics should be shown, as much as I think the endless things you can do should be shown, I think what will really sell Limit Theory is it's dynamic, living universe. To that end, Here's my concept. Begin with a bang, a Big Bang. From the flash of the Big Bang, comes your universe. With a Cinematic camera, you spiral around as it expands. The camera then slowly dives into the universe and you fly through enormous sparkling clouds of dust and stars. The camera slows down further and you're clearly headed straight into a cluster, and then straight into a star system. The camera bursts into the system and in front of you is a (staged) 500 vs 500 ship battle raging. Carriers, capitals, battleships, fighter squadrons, drone swarms, missiles, beam weapons, ballistics flying in every direction as the two sides fight it out. The camera comes in close and swings around long enough (5-10 sec) for you to get a real sense of the excitement taking place. The camera moves away from the battle and flys over to a station clearly in panic, outside are holographic displays flashing red and showing a tanking stock market graph as civilian ships start fleeing the station in the opposite direction of the battle. The camera comes in very close to one of these ships to show the details before panning over to the Warp Rail it's headed towards. As gets closer, large military vessels drop off the rail and quickly head to the battle. As the civilian ship hops on the rail, the camera zooms out and follows the rail as it wraps around to the other side of a ringed Earthlike planet. At the other end of the Rail are assembly yards churning out parts and ships as fast as they can. Flying over them, you see dozens of cargo and mining ships heading back and forth to a nearby asteroid field. The camera flies over and into the asteroid field as you watch miners with their lasers and drones harvest materials. Flying out the other side of the asteroid field you see a Research station send out several couriers as red alarms begin to flash. You follow the couriers when a surprise ambush takes out one ship and then another and another, the couriers take evasive maneuvers until only 1 escapes. The courier approaches and then enters the wormhole. 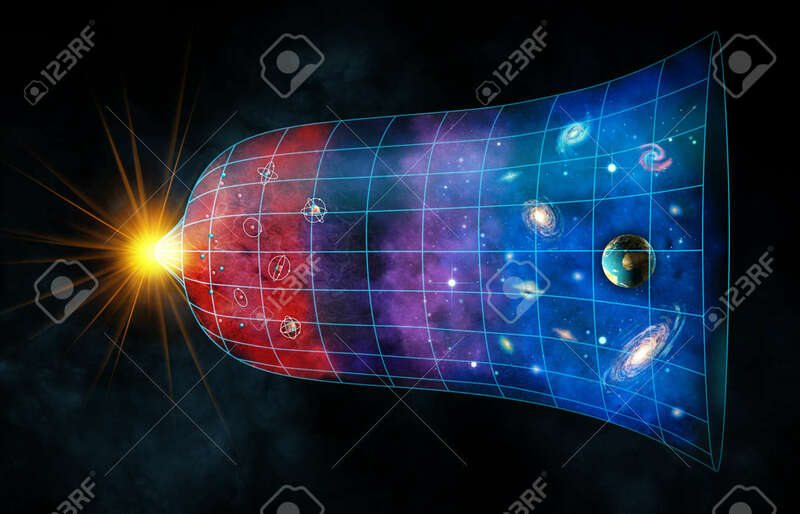 While in the wormhole, the words Limit Theory fade in. Cut to black. At the end appear the words: "A living universe where the only limits are your own"
The whole thing should last 1.5-2.5 minutes. There's no narrator, just music. And at the bottom of the screen, displayed the whole time is "Actual Gameplay Footage"
Whatever it is please let it clearly represent the game. Tired of flashy trailers that don't actually have anything to do with the game or the way it plays. Hmmm I might be grumpy today, sorry! Actually, I'm curious - are there any trailers you're referring to here in particular?